Considering these factors, we’ll look at a number of high yield savings accounts. Here’s an automated rate table that will show you several of the top options. I’ll also update the list below with accounts that FiveCentNickel readers have identified as their favorite online savings accounts. 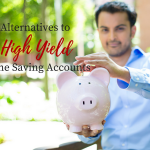 Looking for the best online high-yield savings account? Here are some of the most popular online savings options. All savings rates were updated as of May 15th, 2018. Barclays has been around for over 300 years and operates in 50 different countries. Barclays is a large bank and offers competitive rates on savings accounts. There is no minimum balance or any monthly fees, and don’t worry, its FDIC insured. Formerly known as GMAC Bank, Ally is one of my favorites. They offer one of the highest savings rates out there, and they also have very competitive CD rates. Accounts with Ally have no monthly fees as well as no minimum balance requirement. We’re actively holding a portion of our savings with them. Synchrony offers one of the highest rates available today on a savings account. There is no minimum balance required and Synchrony does not charge monthly fees. Money can easily be withdrawn from the account online, and it is FDIC-insured. Formerly GE Capital Bank, Goldman Sachs acquired the online bank and renamed it Marcus Bank. Its online savings account features a highly competitive yield, no transaction fees and no minimum monthly balance or opening deposit. All Marcus Bank accounts are insured by the FDIC. CIT was founded by Henry Ittleson in 1908 with a mission to provide financing for businesses. CIT continued to grow, offering financing, lending and insurance for corporations in many different sectors. CIT Bank, an FDIC-insured institution, offers CDs, savings accounts and custodial accounts to consumers and small businesses. FNBO is currently offering a 1.75% APY on their Online Savings Account. There are no minimums and no monthly fees. They offer a return that has averaged ten times higher than traditional savings accounts according to a study by Bankrate.com. Maximum principal deposit balance: $1,000,000. Building off the legacy of online-banking pioneer ING DIRECT, Capital One 360 is a new favorite. Capital One 360 offers both an online money market account and a high-yield checking account. There are no fees, and its site has an ultra-slick interface with lots of useful features. $10,000 minimum balance required to receive the 1.60% APY. EverBank offers a high yield money market account. For first-time account holders, new account bonus rate for Yield Pledge Money Market Account – first year APY is currently 1.50% for account balances up to $250K, and an ongoing APY currently at 1.05% – 1.25%. There are no fees associated with your account as long as you maintain a $5, 000 minimum balance. They also have a high-interest checking option. While you may not have heard of them, they’re FDIC insured. Definitely worth checking out. 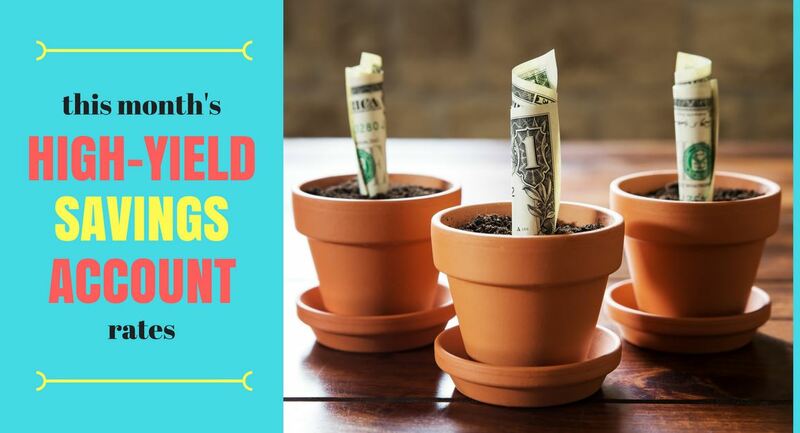 If you’re looking for a significantly higher yield than a regular bank can offer, you might want to check out online investing company Lending Club. They are a good option if you don’t mind taking on some additional risk. It’s not FDIC-insured, but an average net annualized return for Lending Club notes are between 5.25% for grade A notes and 8.57% for C grade notes. It’s free to open an account, and you can get started with as little as $25. I’ve been using them for the past few months, and have had a great experience thus far. I should also note that USAA was a popular option among those that have access to it. I did not, however, include it in the main list, as it’s only available to members of the armed services (active duty, reserves, or retired) and their families. Awesome work here. The web site is very quickly at downloading plus it looks like you have established a large number of exceptional recognition backlinks. what s with the 5 year old news? cover the same topics talked about here? I’d really like to be a part of online community where I can get suggestions from other knowledgeable people that share the same interest. If you have any recommendations, please let me know. Appreciate it! When the malls as part of your region don’t stock up Ralph Lauren clothing, you may easily find the clothes your want online at likewise more affordable costs. All these three belongings have the significant significance as part of our existence. cover for Ralph Lauren pas cher or dresses throughout the internet and having these items placed in spot these days, keep in your mind, available the fact significant resolution is usually to apparent the actual apparel so that you could dried out Ralph Lauren.So when shopping for your skiwear, precisely why not think about the Spyder brand, what have been utilized by the professional skiers.The structured shoulder, for the a lot more welcome fit, and high armholes, allowing for smooth movement, integrate through a flattering modern fit which never goes out of style. of easily? Are the components that require best infrequent washing smooth to reach? in order to our customers, states Howard Schultz, Starbucks chairman, leader and also CEO, in the press release. Do you include credit unions in your listing? Alliant Credit Union has a 1% rate on savings and fractionally less on checking. You can join the field of membership by making a contribution to a Chicagoland charity that helps orphaned kids. Forget the biggest and ‘most known banks’… invest in good and stable savings bank. Simple analyses alone facts. Most popular banks cant have best savings accounts terms (they have other good services… but savings is far from best..). The best high-yield savings account have American Banco of Asia for me… ABOFA and his metal policy behind savings is most secure solution at the same time. So at best these banks can promise to steal 3.6-0.90=2.7%, right? It’s stupid to lock ur money away at 0.90% APY, when they promise to lose 2.7% equity per year (if inflation rates continue). How are banks NOT offering to steal my equity? I used Smarty Pig to save for a kitchen remodel at Home Depot. I wanted to save $12,000 so I could make it legit. I was able to get a discounted gift card for like $10,000 at Home Depot for around $9,000! Normally that would be too much of a gift card, but since I was saving for that purchase anyway it was perfect. Plus my parents even contributed a bit and for my bonus late last year my boss (who knew about the account) said he would give me a slightly bigger bonus if he could deposit it right there! So, my experience has been great. Has anyone used Smart Piggy for their savings account? If so, what’s your experience with the account? can we please audit The Fed and end The Fed so that they will stop printing and diluting our dollar and they will stop manipulating interest rates, stock prices and gold prices? Let the free market of supply and demand determine interest rates. I need a good interest rate on my savings account. Am I the only person in the world with a savings account? why isn’t everyone furious at The Fed? Thank you for this list. Everbank looks great. I’m just getting started on peer 2 peer lending services like Lending Club, my only concern is that you’re not insured by FDIC the way you are with a bank, so if people default, you’re out of luck. How safe do you think Lending Club is? We’re lucky to have a local community bank that offers such a high rate. It’s not too high on the safety list, but our deposits are insured so we’re not too worried. It’s called Provident Community Bank. It offers 4.01% right now. It’s one of those high-yield checking accounts with certain requirements about so many debit card purchases a month and having direct deposit, etc. When we opened it, it was at 5.76%, but it kept dropping while the Fed kept dropping rates. I feel like we’re responsible savers with a very low risk tolerance, yet we’re not being as well rewarded in the market. Oh well. We’re certainly not going to change our personalities to fit the market. We’ll just hope for the best and keep saving. Has anyone had dealings with Discover Bank? Have read some favaroable comments, but one thing confuses me. They say you cannot withdrwa interest for one year otherwise you will not receive their interest rate of 1.34? I have a SmartyPig account and I LOVE it. They’re currently offering 2.15%. I was surprised not to see it on here as well. I’ve had my account for a few months now. I know I’m kind of a spaz, but I think that it’s cute looking and I like that. Mostly I like that ACH withdraw system. Also, you can totally set your own payments. I do. When you pick the goal you can choose an amount for it to pick for you, or you can set your own amount. Just closed my account with Capital One. I originally opened account in 2008 and used if for about one year and then closed it because of the poor service and customer response, etc. I saw rate was fairly high beginning of this year and decided to give them one more try. Soon after I reopened account, rate went down but I stayed with them. Recently they just notified me that they had frozen my account so I couldn’t access in via the Internet. When I spoke to them they said I had to verify my identity by sending them copies of license, social security card and utility bill. I told them forget about it and that I couldn’t be bothered (especially since it was opened originally in 2008 with no problem). I told them to close account and send me cashiers check for the 6 digit deposit. I will never use them again and it is their loss. Just my opinion regarding Capital One; so think twice before opening an online account with them. Any others have problems with Capital One? Would love to learn I am not alone. I have had accounts with Ally, HSBC and CapitalOne Direct. Ally is the most user friendly with HSBC a close second. CapitalOne, even though they are paying a slightly higher rate, I really regret openning an account. First went through account validation (including the typical 2 small deposits) no problem. Then I tried to deposit money and had to go through the whole 2 small deposit all over again while my money sat earning zero interest in my checking account. Then I transferred another larger amount, which they proceeded to lock up for 10 business days. Also their “Contact Us” e-mail doesn’t work, had to use phone to contact. When they unlock my funds, I am going to move back to Ally. I checked out ING’s website, it is just something about ING unlike HSBC that I don’t like. I don’t like the thing about your money being put on hold and unavailable. That doesn’t ride with me, it’s bad enough you are dealing with an online only bank and then to tell me that you are going to put a hold on my money.Nahhh. But they come right out and tell you that on the FAQ’s. I did like that about them. WAMU 5% 12 month CD? Could not find info on your site! But it was memtioned in info below your headline. I currently have a reward checking account with a local bank (so I have the convenience of cashing/depositing checks, cash station, etc.). I highly recommend reward checking accounts (Dave Ramsey also promotes them which is where I first heard of them). I earn 4.19% APY on amounts up to $50,000 BUT in order to earn that rate, each month I have to have 15 credit card transactions, one direct deposit and bank statements are e-mailed to me. Any amounts over that I get .25% APY. Having said that, any amounts I have over $50,000 go into my online savings account with CNB Bank Direct http://www.cnbbankdirect.com. My rate started at 4% APY with them but I checked today and it is now down to 1.70% APY. I have never had any problems with CNB and any time I e-mailed customer service with a question, I got an immediate response. This account is linked to my reward checking. It does take a day or two to transfer money into the savings account and a few more days to transfer money out. I have found CNB very easy to use. If you need to add a beneficiary, contact them and they can add that to your account. I am thinking about checking out SmartyPig and 1st Constitution Direct but not sure it will be worth all the effort for only a slight percentage higher than what I am currently making. I would check out westbankiowa.com. I’ve been enjoying 4% up to 30K for a year now. reward me checking. 12 credit transactions and one outo debit is all required a month. ATM fees refunded as well. IRA Savings @ING Direct. FDIC-insured @1.4% APY. I have my IRA in a Fidelity MM, which is now paying less than 1/2%. I thought investing in the Fidelity MM would protect the principal as it would also have share price of $1.00, but even that now is in question. Does anyone know where I might be able to transfer this (fairly large) IRA in order to get a better rate and safety? Doral Bank had a nice rate a while back and now I see that they have dropped it to 0.50%! but doesn’t do us much good if we can’t open the account. Does anyone know a way around it! Jasen – Do you mean 1st Constitution Direct NJ? I went online to American Express to try and find the no fee “ONE” card. I was not able to find it!! Can you give any advice on where I can see the details about this card? Is it called something else? Also for those of you still interested. Constitution Direct went from 2.75% to 2.5% to now 2.05%. I’m still using them and they have been great to deal with. Someone always answers the phone, and everything was very easy to set up over the net. If anyone is getting better than 2.05 to 2.5% please post it and let us know! The best deal on a savings account is to have a no fee ONE card from AMEX. 1% of everything spent goes into a High-Yield Savings Account earning 2.75% and has not changed in many months. You can link it to other banks and transfer money free into the High-Yield account any money you are holding in cash. If you are like me, you pay off your credit cards every month and so it truly is a High-Yield Savings account, no introductory fees that go away and you are with one of the oldest and most sound institutions around. It is the true winner for me and anyone with the same habits. Had practically same experience with Provident Bank, NJ. After their promo period, rate on first $10,000 falls to 0.99%. Very confusing and time consuming opening of account. Will close after promo period as rate is just too low! Iopened an account with Everbank. Nothing but headaches. The interst rate after the promo is less than ING, one fee for goinf under $5,000 wiped out all the interest i had earned, and it took me 6 emails to change my address. does not work with quicken. They send emails to tell you to check your secure email, which then only tells you about the transfer you already knew about. ING is MUCH more user-friendly! Just recd email from HSBC advising that their online savings account rate has dropped to 1.45% (again). Even though rate shopping is a waste of time, people will always do it and it will always have a negative impact on everyone BUT the rate shopper (and even the rate shopper will most likely have negative repercussions). Here’s what I mean. If you leave $5 in a bank, that bank will most likely charge you money; most banks have minimum requirements. If they don’t charge you anything, you’re actually making rates go LOWER because that bank has to facilitate your account that only costs them money. This is more of a problem for banks now because the banks aren’t making much on your deposits anymore (hence the dropping rates). So go ahead, be a rate shopper. Be a parasite out for your own good. It will help you and hurt everyone else involved on the grand scale. It’s like buying a car. Will you just buy the cheapest car out there, or will you be willing to spend a little more for a better car? I’m going to take a rate cut to put my money with a bank that I like better. Hopefully other people will follow my lead and look out for themselves in a big-picture way by looking at more than one thing, the rate, and hopefully that bank will succeed. What would happen if everyone put their money with the banks that were better overall? Those banks would compete with each other and rates would go up anyway. Which is why we MUST keep rate shopping! We can only punish the banks by pulling our funds each and every time they pull this. I left $5.00 in there (like I do similar banks) in case they raise the rates back up. But aside from that I transferred my monies elsewhere. For those that think rate chasing is silly or a waste of time, it’s the only chance we have of fighting the bank cuts. Stop moving your money out and ALL the banks will continue to drop rates. Is it a waste of time? I look at it as kind of a job. We get the interest rate for having money in there, but if I can get a better rate by shopping around, for sure I’ll keep doing it. 3 months ago they were offering 2.75 I moved all my liquid cash there. It was easy to open and a service rep answers the phone every time I’ve called. After my 3 month introductory rate of 2.75 the rate went down to 2.25 but I called them and asked them if they would give me the introductory rate again and they did. I’ve been with them now about 5 months. Their system is pretty easy to use and they have been nice people to deal with. Looks like Dollar Savings dropped it’s online rate big time. Understand that Tennessee Commerce is offering online savings accounts with 2.30 rate. Any comments? Yeah, Chris was probably trying to mention http://www.Smartypig.com which has an interest rate of 2.75% (Previously 3.06% a few months ago!). I just closed a goal and awaiting the money to be transferred back to my checking account. Their transfer does take longer with than online savings accounts, ( 5-7 business days compared to 2 business days with ING) but hopefully everything goes well. do you mean smartypig chris? You don’t even mention Smart Piggy – best interest rate @ 2.75% – much better than any that you’ve listed here! William – I’m glad that you will never have to depend on the government for anything, when you reach my age.. But for me, as a wounded and disabled serviceman, I have to depend on the government for my small payment (allotment). I didn’t want to depend on anyone else either, but I had no choice in the matter. But, why does an illegal alien, who does/did nothing for this country, depend on the U.S. government for free food; free medical; free prescriptions, etc. (mre than I am getting)? m I not entitled to my opinhion? Wait until you reach 75 years of age and must decide wheter to buy food or prescription medication and then see illegals aliens (speaking only Spanish and young enough to be working) getting all these free benefits, payed for by my tax dollars. And here am I trying to earn the best interest on my small savings account. Wouldnâ€™t you say there is something wrong with our system of benefits? Wounded soldiers coming back from Iraq canâ€™t get insurance or money to pay for food and yet illegal aliens get everything for free (food, medical, prescriptions, etc.). Yes, you are entitled to your opinion but it has nothing to do with savings accounts. Also, while you may depend on the government, when I reach 75 I will depend on my own resources and not have to worry about the government. By the way, BillyRâ€™s comment regarding â€œillegalsâ€ getting free benefits and not paying taxes is irrelevant, xenophobic and just plain ignorant. Am I not entitled to my opinhion? Wait until you reach 75 years of age and must decide wheter to buy food or prescription medication and then see illegals aliens (speaking only Spanish and young enough to be working) getting all these free benefits, payed for by my tax dollars. And here am I trying to earn the best interest on my small savings account. Wouldn’t you say there is something wrong with our system of benefits? Wounded soldiers coming back from Iraq can’t get insurance or money to pay for food and yet illegal aliens get everything for free (food, medical, prescriptions, etc.). Since Dollar Savings rate stopped dropping and has held steady at 2% I put my money back. At least it’s 1.25 points above Chase’s online savings at this moment. The transfers take about a week but I don’t have any issues with them so far. By the way, BillyR’s comment regarding “illegals” getting free benefits and not paying taxes is irrelevant, xenophobic and just plain ignorant. I used to love ING, but their customer service and how they treat their customer is the absolute worst. My checking account bank screwed up something with a dispute over a transfer and not having my authorization to do something with my ING account. ING had 30 days before they had to reverse the transaction and they did it in one day. They did not call me the customer, they just did it. When they DID finally call me, it was to say they are ending their business relationship with me and closing my account and basically I would be blackballed from ever having an account with them again. Seriously? My bank, their COMPETITOR did something and they just stuck their tail between their legs and said F*** you customer, and closed my account without asking ME the CUSTOMER what was going on. Now I have to jump through a bunch of hoops just to not be blackballed from ING Direct. This is how they run their business, they don’t ask the customer what happens first, they just blackball you. After talking with them they confirmed how terrible they are. I asked, what if there was fraud on my checking account and I never had any knowledge of what happened. They said they would close the account and make you get proof from the bank that it was an error, and then they would CONSIDER letting you “re-open” the account as they say. First, it’s not re-opening an account, it’s letting you open a NEW account. Secondly, if their was fraud on the other banks side, why don’t they just FREEZE the account and talk to the customer? Nope, they just blackball you first and then ask questions later. You are guilty before proven innocent. Somebody else made a big mistake at my one bank, and ING said F*** you to me and just closed the account. I will NEVER do business with a company like that again. The customer comes first, but obviously NOT with ING. I do NOT recommend their bank in the least bit. I never had ONE problem with them before this one incident and they just “end their business relationship” with me. Bravo on not giving a crap about your customer. Do NOT use this bank, they will screw you on a dime over nothing. Not to mention they did not lose ONE penny in the whole issue that took place, they only did a transaction, no harm done on their company at all. Experts say that most of the banks that are dropping rates are doing so to actually get rid of deposits and hopefully keep more from coming in. This time last year, the average savings rate for Americans was next to nothing, and now it’s at 6.9%. With lending guidelines so tight and no return on investments, banks cannot afford to be paying out the kind of interest they used to. Once you see mortgage rates start going back up, savings rates will follow. For the time being, find a high rate with a bank that you like and trust. You’re better off doing that than bouncing your money around all the time as a rate chaser; you’ll probably lose more interest in the transfer time than if you just kept your money in one place! AliceZ: It’s standard practice for banks to check credit if there is any sort of overdraft protection associated with your account, because that is essentially a line of credit. Not sure if that’s what was going on in your case, but I just thought I’d throw it out there as a possibility. I previously have opened two accounts at other online banks and they were ‘happy’ to get my business (even with the ‘freeze’ on my credit cards). I guess Ally isn’t that anxious to get new customers. ….Just my comments about my dealings with Ally for someone else who might have same situation. Doral Bank was offering 2.25% and now I notice they just dropped the rate to 1.60%. Big drop as far as I am concerned and I will now be considering my deposit with them. Just tried to open an account with Ally Bank (formerly GMAC). Really complicated procedure as far as I am concerned. You have to sent them copy of driver’s license and then they say they will get back to you 24-48 hours. Very difficult to get information via the telephone because reps say request is now in their operations department, etc. I consistently see SmartyPig missing from these lists but I’ve been using it for months now and i have to say that it ROCKS. For starters, SmartyPig is more of a web application built on top of a bank. Funds deposited in your SmartyPig account are placed in an account at West Bank where it is FDIC insured and will earn (at the time of writing) 3.05%. You read that right. The idea is that it’s goal based savings so you generally cant go adding and removing money all “willy-nilly”. You create a goal, say a TV or a house down payment or an emergency fund. You tell it when you want the money by and how much you will put in now. Then it calculates how much you will need each month to meet your goal and sets up a reoccurring withdraw from another bank account to fund your goal. That’s it! You can add additional funds off cycle or close your goal anytime. You can also change the date or amount of your goal as long as there aren’t any pending transactions. Also, if you know you will be buying something like a TV, you can redeem your goal for a gift card, say at BestBuy, and they give you an additional amount (up to 6.0% extra) depending on the gift card. I haven’t used this yet so I just transfer the money back to my bank but its a nice option to have. Now the downsides. You can’t move money from goal to goal and you can’t deposit money without a goal. What i did when i was generally saving money was set up a goal called “A Money Pile” to just hold my cash while i figured out what to do with it. Also, you can’t set your own monthly payment so you might have to tweak the amount or due date to get the monthly amount right. If you know you need 5000 by the end of the year but you can’t save the full monthly amount for a couple months, you will have to change the amount or due date to get the right payment. One last downside, it takes a little too long to transfer the money out, i think it’s 5 business days. I wouldn’t put money you might need tomorrow in it. If you can deal with those few downsides, I would HIGHLY recommend SmartyPig. My fiance and I have been able to save a lot of money we might have otherwise squandered. Being able to log in and see how much your monthly contributions are and how much interest you have accumulated on each of your goals is very motivating. I would say it’s borderline addicting to see your accrued interest on a daily basis! I don’t know any other bank that lets you see this. Lots of the personal finance advice says to “pay yourself first” and SmartyPig is one of the best ways to do it! Plus you simply can’t beat the rate. Even CDs don’t offer that much now a days. I also use Shorebank Direct and they have an excellent online savings account. The current interest rate is 2.0%, but they have been consistently within 0.5% of the highest rate on the web. Highly recommended. HSBC just dropped online savings rate to 1.55%. Rates going down – prices going up. What an economy! Only people not worrying are the illegal aliens who are getting free food, free medical, free prescriptions, etc. And paying no taxes. I have an account at 1st Constitution, but am thinking of closing. They do not allow beneficiary. The only way to add a 2nd linked account is to send them statements from the bank. I don’t like this because the statement lists account numbers for my checking, savings and credit cards. Too much exposure is not to my liking. Homepage leaves a lot to be desired. I pulled all of my money from Dollar Savings Direct (DSD) and back into my Chase savings account. DSD is paying 2.05% and Chase only pays .75% but that point and a quarter is not worth the hassle of transferring the money and Dollar Savings doesn’t seem to rate as “safe” as Chase. I would put the money on a decent CD but I may need it for a downpayment on a house in the near future. I enjoyed the 4.0% for a while. I’m still sticking w/ ING Direct. I just like them better – better website, no overdraft fees on their checking, my fiance and I can email each other (or anyone else for that matter) money. It’s still a pretty decent rate even if it’s not the highest out there. It would drive me crazy to move my money around every time a bank is paying 1/2% higher rate. Not to mention, I’ve never been charged a fee…I read some of the terms on the other banks mentioned and they charge fees for a lot of stuff that ING doesn’t. I have been looking to move my money from ING cause of course their 1.5 or 1.65 APY isn’t looking so good compared to some of the others. I happen to love ING but I found a 5 star rated Doralbankdirect offering 2.25% and 4 star rated 1stconstitutiondirect offering 2.75%. Anyone have any thoughts on either of these two banks. Doral’s office is in Manhattan and 1stconstitution in Cranbury NJ. I have ING Direct and Emigrant Direct accounts, but the other account I have, capital one, gets 2.01%. That is where I have switched more of my money to. SMARTYPIG??? After Bernie and all the other ponzi and related scams…can anyone provide info “SmartyPig” Savings is for real? It SOUNDS like a good deal where they automatically withdraw and apply money to your designated “goal” but a bank named SmartyPig gives me thoughts to wonder? Thanks in advance for any info you can shine on this. In this day and age of too many rip offs, I DO appreciate it. Opened an account with AmericaNet and linked an outside bank. I instructed AmericaNet to transfer money from my linked account to my AmericaNet account. I was told this could not be done until 30 days had passed. This is the first time a bank told me they could not transfer money for 30 days. Thinking of closing account now. I linked to ShoreBank Direct (2.80%) from within my Etrade savings, transfers went through in 1 day going to and from Etrade (requests originated on the Etrade side) painlessly. Going the other way around, request for transfer orininating from the ShoreBank side took 3 – 4 days. If Shore holds the line, I will keep my cash there. They are highly rated by the FDIC and deeply rooted locally in Chicago, Cleveland and Detroit, focused on serving minorities. DollarSavingsDirect only received a ONE STAR rating (out of FIVE STARS) when their financial soundness got analyzed due to the ongoing bank meltdowns. Although they are FDIC insured, I wouldn’t put my money there. If they do go down in flames, I don’t want my money stuck in limbo for several months while the feds sort out the mess. When will it end? It’s getting worse and worse!!!! Maybe we can get some input here.I guess I have to ask some dumb questions here because moving money around is not my expertise.I know the process is more involved and I am not a rocket scientist but it seems to me that when an institution needs money from investors/depositors they just raise the interest rates for a period of time to get depositors and when they have what they need they lower it again.It takes a while for us to take notice of the reduction,shop around,find a higher rate and move our money. After Chase Morgan took over WAMU I watched the rates drop to 1% on an online savings account I had.How does GMAC offer 2.75% for an online savings account and Chase Morgan 1%. Are there that many customers who just don’t do anything with their money at these institutions regardless of low rates that they don’t try and make their money work for them? Looks like venturebank pays incredible rates for savings/online checking. 3.5 for checking and 2.48 for savings? according to bauerfinancial though they only have one star rating..
Total newbie here: Found your site after screaming in disbelief at INGs crappy rates. Pretty soon they’ll be asking me to pay THEM to save with them! What the heck happened to them!? They used to be the best deal in town, now their rates have PLUMMETED and I’m moving my dough. Sure, their interface is slick, but they’ve got my MONEY, folks. By moving it to (practically ANY) one of the excellent suggestions on your list I can DOUBLE my rate in a matter of seconds. So I don’t get the little orange balls on my account. I’ll settle for the little gold coins IN my account, instead. Thanks for posting this excellent resource! These last few weeks/month have been frustrating. Originally I had most of my savings in Etrade Complete Savings, but when they dropped the rate down to below 3% I moved most of it to DollarSavingsDirect when it was 4%. But this AM they dropped it again to 2.25% (after MANY decreases in the last 2 weeks). I opened an account at ShoreBank Direct, they have been holding strong at 3.15%, they serve the minority communtiy in Chicago, Detroit and Cleveland — rated as “Outstanding” fiscally by the FDIC. So I’m moving all my DSD money there. Keeping $1000 to keep the interest earned at DSD for this month, then I will keep $5 to allow the account to remain open and move the final $995 next month to ShoreBank. Keeping my fingers crossed they maintain the current rate. I did my 1st CD with GMAC over the phone in January 2009 and listed my beneficiaries. The process was very smooth and the representative spoon fed me thru it.I can see the names of my beneficiaries on the webpage when I click this account open.The 2nd CD I opened I think I did everything online without a representative.I don’t see my beneficiaries names on the webpage for this account so I am thinking that option was not offered to me as I opened the 2nd CD and didn’t pursue making sure they are listed.For my personal situation my beneficiaries are listed in my trust but I will check today with GMAC.This process of moving money into new accounts just drains me because of putting money into the hands of some new institution and hoping it goes smooth during the time the money is there.Now that I am retired on a fixed income I am like the rest of us who can’t afford making bad decisions.I could not afford mistakes when I was working but at least I was able to make more money if needed with overtime. I just ditched ING Electric Orange and opened an EONE account with Salem five. Opening was easy, got the checks and debit card as promised. Customer service is great. Interest rate is 3xs that of Electric Orange presently. Bill pay system is better than ING IMHO. Thinking of ditching ING savings for FNBO as their rates are better. Fidelitybankdirect.com has a decent rate but they don’t allow ACH xfers as I called and asked. Have to use Bill pay. GMAC has a nice rate but only has a 3 star rating where as FNBO has a 4 star rating. Not sure of Dollar or Emigrant. I am looking into opening a high yield savings account for my daughter as well as for me and my husband, but don’t really know what banks are safe these days. We have been looking at ING or GMAC. I don’t want to choose a bank that might not be there in few months. Any advice would be appreciated. I’ve had a couple bad months with CNB Bank Direct. They don’t have any beneficiary forms on their website and they haven’t been responding to my e-mails. I’m looking at GMAC or I just may go back to Emigrant Direct. Emigrant Direct has a good interface and the ability to add a beneficiary. Does anyone know if GMAC has that option? GMAC seems to have a good rate right now. Or you can go over to Bankrate and dig around for their Safe & Sound Ratings. These ratings are based on publicly available data reflecting things like bank solvency. They are, however, only updated quarterly. Where are the Bankrate ratings and who rates them? Are you talking about the stars? If anyone saw Berny Madoff on 60 minutes last Sunday then you would understand my new found appetite for asking questions. I read these comments on here which are very informative.Then I see GMAC bank is offering 2.75% on their online savings.Looks tempting to me but now I wonder are they in trouble and offering higher interest to get more business, will the rates drop in a month after they get a wheelbarrel full of our money. Do I leave my money in WAMU for a paltry 1% ? I would love to be educated on here because these interest rates being offered are not going to make me a rich man but if I can make my money work for me in a safe institution I would like to know which ones are safe and how do I figure that out? Paul: Probably the easiest thing to do when gauging bank safety is to look at the Bankrate ratings. Is there anyway or anything online for us to use to gauge how a bank is doing before putting any money into it? Maybe someone on here has experienced a bank closing and can comment what they went through. I use GMAC bank and have been very happy with them. The customer service is easy to contact and very efficient, especially via email. I’ve had only 1 mediocre customer service experience out of 5 or so calls to them. Not bad considering what the norm is for these online banks. I think their rate is currently one of the highest among online savings accounts. They do have a limit on # of transfers, but I don’t move the money much so I’m not all that familiar with that. Also, not sure about ATM access, as I don’t use it. I also use ING, which is a very well run operation, even if their rates aren’t the best. What do everyone think of the services of Capitol One and GMAC Banks? Is the FDIC insurance going to drop back to $100,000 coverage at the end of this year? Isn’t that going to create problems for people with some of their total savings in anyone of these banks that is over $100,000? I keep watching DollarSavings drop their savings rates every few weeks. It’s down to 2.5% this week. I moved some money to their CD’s when the 16 month CD rate was 3% (a week after the rate was 4%) but if DollarSavings savings rate drops any further I’ll just keep the money with my regular bank Wamu/Chase which currently has a 1% online savings rate. I tried to open an account with Doral Bank Direct. One of the most frustrating experiences I have ever had with any bank and trying to open an account. They have a Customer Service telephone number that no one ever answers. Their mail box is always full. You ask to be called back; no one bothers to call back (including officers of the bank). The people who do answer the telephone know nothing about the procedure to open an account. Waited on the phone over 30 minutes and finally gavu up and disconnected. Rates will stop dropping when the industry comes out of the tank – so don’t count on it anytime soon. Keep in mind, mortgage rates and savings rates typically go the same direction, so when mortgage rates start going up, so will savings rates. The best approach is to find a high-yield account that you like and feel confident in, and stick with it. No bank is going to be the highest all the time, so don’t spring for that .25% higher APY for a bank that’s about to fail or has a crappy website. Strategically, you’ll be better off by putting your money in a bank that fulfills the rest of your needs (NO fees, quick access to funds, safe and sound, transparent, good website, etc.) instead of one that has a slightly higher rate. One final thought: Why might Emigrant (rated at 1 star above) have a higher interest rate than ING (4 stars)? I have an online account with HSBC, which I am using less often. The interest rate has dropped and it takes too long to access money in the account. They state “3 days” for transfers to occur. BUT, the day of the transfer request does not count, making it in reality, 4 days. Add to that a weekend or holiday (which do not count), and it can take quite a long time to access your money if you are accessing it to make a purchase or for a time sensitive transaction. I have complained to the bank to no response. Hence I use the account less frequently. I’ve been with ING since 2003 and, while their interest rates are no longer the highest, the ease of use and clean design of their web site wins me over. Also, it doesn’t hurt that I can see their HQ in Wilmington, DE from the train. Yeah, I know, it doesn’t really matter in the end, but..it is, admittedly, a bit comforting to see a “real” brick-and-mortar facility that is somewhat close to where I live (Baltimore). I like Ing the best because of their website and just the ease of dealing with them. I have a living trust and I put all my accounts in the name of my trust (including my Ing accounts) so I don’t have to worry about setting up beneficiaries all over the place since they’re already established within my trust. Are you planning to update the rate page anytime soon? JohnZ, that is not true. If you have no beneficiary on an account and you die, it will go to your estate (which is just a pool of the deceased’s assets) and then will be distributed according to that person’s will or to the next of kin as legally defined if there is no will. We had some money in ING but withdrew it all because ING said they do not let customers add a Beneficiary. Therefore, if you die, all money goes to the State (I believe). If you have an account at ING you should consider this fact. Does anyone know why Dollar Direct is rated one star? I understand it is because it is the same as Emigrant Direct (parent company) which is also one star. Should we consider transferring our money out of DD and ED because of the one star rating? well hsbc has taken my money from the account that i opened on line and put it into another account that i cant get to . it is not linked to the bank i funded the account with . My id and pass does not work there. It has been one year and i still can not get to my money there . So if you use it take care. Does anyone have experience with Everbank? they have the highest rates right now as trying to expand and look interesting. Everbank, Etrade and FNBO all have 4 star ratings on Bankrate Safe&Sound. Dollar Savings is by far the best. Easy interface that hooks up to your checking account, moves money back and forth for free and it’s fast. Or you can sign up and have your pay check go directly to Dollar. The user interface shows you your daily interest as it is being accrued, monthly and yearly. You can set transfers into your savings account as a 1x event, or you can preset a certain amount to auto-transfer 1x per week or every other week or whatever. No one comes close to their APR which is a cool 4 %, no fees, no charges, no kidding. Has anyone heard of Provident Bank? I opened an account with Virtual, but found them very difficult to deal with. And now, they have dropped rate on Savings account to 2%. I think I will be closing very soon. I like HSBC and will continue to use them. Dollar Savings and GMAC have told me my applications are pending. Will have to see if they open accounts. If not, their loss, not mine! The best is Dollar Savings Direct (a division of Emigrant Bank). 4.00% APY on a savings account. No one can beat it…. Keep in mind that rates that seem too good to be true usually are just that. Remember, banks take your money and then turn around and loan it out. They make money on a “spread” which is the difference between what they are loaning it out at vs. what they are paying you. So, if they are charging 6% on a loan to someone with your money and are paying you 2%, then they are making a 4% “spread” on your money. They then turn around and have to pay their personnel, light bills, facility costs, etc, etc, with that 4% spread money. When banks get in liquidity trouble (ie, they have a lot of assets but not much of it is readily available without liquidation), they may start paying higher rates to customers in an attempt to boost cash in their control. The problem is that paying you more means their “spread” is less. And, just like the example above, if they are charging 6% on a loan they are making with your money and are paying you 4% now (instead of 2% previously), they are only making a 2% spread. Depending on the bank, a 2% spread may not make them any money at all. Thus, banks paying high interest rates is frequently a sign of a bank in trouble. Of course, not all online banks are like this, they simply have less overhead, but they still have to make a spread. In summary, be wary of interest rates that seem too good to be true and do your research. Sometimes, it would be better to make 1% less (which is only $100/yr on an account of $10,000) and know that your money is in better hands. Just something to consider. Wamu / Chase’s online savings is now 2%. Time to shop around. I’ll miss the convenience of transferring money easily between accounts but 2% is just too low. I will stick with my ING savings account for now. I also have a Sharebuilder account with them and they let me transfer money instantly and without any fees. The interface is great (the Sharebuilder interface could use a touch up). Right now I am sticking with them because they are convenient and easy to use. I am shopping around for a new high interest savings account so I can at least try to beat inflation! vings rate, but a little more complicated and slow on crediting funds. Guess for ease my vote goes to ING, but Dollar has the best rate at present 4%. I, too, just noticed the GMAC online bank. Best rates that I can see right now – better than my current ING (which I’ve been very happy with). How long have you banked with them? Do you transfer btwn GMAC and other online accounts? Overall experience w/ them? Currently GMAC Bank has a 3% Money Market and 3.75% Savings, both with no fees or minimums. It’s very easy to transfer from the savings to the money market, which comes with free 1st order of checks and debit card. Had FNBO for a couple of months. Nothing but a hassle. Very unfriendly. Pulled all my money out. Emmigrant is great. No problem. Based on Consumer Reports I am thinking of apllying to Capital One. I was very pleased with customer service at Emigrantdirect, so much so that I opened an account with their offshoot Dollarsavingsdirect (at 3.75, later raised to 4.00 after the fed rate cut!). So far, so good. I also use FNBOdirect but don’t like that they don’t update info until the first of the month, also, they’re slow with opening transactions. I’ve also had an online savings accounts with ING direct and what bugs me is the variable interest rate. They all have variable rates and ING never lets you know that the rate drops. You just have to find out when the interest payment comes at the end of the month. Keep a vigilant eye folks. I had an account with ING for several months and when I went to access it out of need, I found out they had closed the account. They had mixed me up with someone else. They even sent me the other person’s private documents in the mail. It took me many hours and weeks to get this all cleared up and I had to sell some stock funds at a loss to get the money I needed (even though they had my money). Their response was basically, “Well, we all make mistakes.” No apology or anything (just an offer to reopen the account). No thanks. I will never do business with them again. I liked ING for a while, but I got hit with an NSF on my Electric Orange and they froze and subsequently closed my account the next day with very little explanation besides “Well, don’t worry… there’s other banks out there.” (Literally, that’s what I was told) I was pretty disappointed with that, and am thinking of either moving my money to my credit union or FNBO. Not a savings account but WAMU now has a 5% 12 month CD. Thanks for the comments. They have helpful. I received an offer from ING today and I think I will take advantage of it. Do you know anything about IndymacBank? They have MoneyMarket account that give 3.85% on deposits over 10K. A great summary of high yeild accounts. I use ING and HSBC myself. They key thing to remember is not to use these accounts as your investment vechile – I wrote about this recently. Given how easy they are to work with people just end up leaving all their cash in them. Big mistake. Ing is a great bank. I have used them since 2001 and love their customer service. They are great for mortgages and mutual funds also. Rivermark CU out of Portland Oregon offers a 6% cd for 500 to 1000 dollar new money for six months. They also have a five percent rewards savings for a minumum deposit of 2500.00 Check on the length that you get that rate for. They put the limits on to get new people to join. They are a great credit union. Don’t forget about your local credit union. You probably can qualify for at least one and mine hasn’t paid less than 3.25% during the last several months. Competitive CD rates as well. I just received a mailer from Schwab for a high yield checking account w/free online billpay and no ATM fees. Anyone have feedback on this? Since when is BoA a “high yield savings” bank? Their savings accounts earn less than 2%, and much much less if you don’t keep $50,000 in the account. I am looking to start my emergency fund and I was looking at the money market accounts offered by EverBank and Nationwide. -Everbank is offering an intro rate of 4.01%APY for 3 months then 3.01%APY. Anyone have any experience with these accounts? What sorts of questions should I be asking when I am comparing high yield savings accounts? Are there practices in high yield savings accounts that I should watch out for? eTrade’s interface is quirky. I have CDs and Savings. They project your savings contributions and I have found them to calculate them strangely, ie. not in order of transfer if they are within the same week. They have a decent rate so I am mostly satisfied. Like others have posted here: the interfaces are basically the same or same ease of use. Go for the money. Opened a CD with First National Bank of Omaha, parent of FNOBDirect, and they low-balled me on the interest rate advertised (5.10 > 4.90) and the term (18 months). They completed the transaction without informing me of the rate/term change. They claimed the change was because I am from another state. I am not a banker, CPA, or Lawmaker so I do not understand how that would matter. I closed the account mainly out of principle and have avoided FNOBDirect because of the parent bank’s behavior. I consequently found a better rate (5.35) and similar term (16 months) locally. I use ING for checking but hate the general ledger. Positive and Negative pending transactions are grouped together. Another way to confuse clients and charge for NSF. US Bank has a great checking interface ledger but pays no interest. ING savings had the best rate in 2003 but has steadily declined. Switched to Emigrant and eTrade for better Savings rates. Waiting to see new rates after end of April FOMC meetings before checking out other banks like IGoBanking, etc. I have ING Checking & Savings accounts, and I absolutely love them. The web site is cool and easy to use, and the counter that tracks how much interest you’ve earned over the month/year is nifty. I also have an HSBC savings account, but I’ve come to enjoy the ING experience much more. ING does offer ATM access! If you open their Electric Orange account, you get an ATM/Debit card. The checking account actually has an interest rate attached to it and you can freely move money from the Orange Savings account to it online. So when you need money, just xfer cash from your savings to the electric orange, then go to the ATM and take money out. no waiting 3-5 days. I am a big AmTrust fan. In addition, I have an ING, Emigrant Direct and CapitalOne MMA. AmTrust consistently pays more than the others. It is the easiest to link external accounts with. ING’s simplicity, ease of use, and customer service is hard to beat. I had a nightmare of a time with Emigrant a few years ago, it is good to see that they are up on the list – maybe they have gotten a bit better? I tested 5 banks last year for online savings, mainly for “free” money. I will say that ING is the slickest and has a great UI, but my vote goes for WAMU. Higher rates (ING just drops them way too fast, and is slow to raise), Brick and Mortar, and UI are all high marks. HSBC used to have a higher rate, but their website was a pain due to multiple login processes and site was clunky. although the different between 3% and 3.3% is relatively nothing until you are talking 50k+ balances, go with what works for you. It would be a shame to chase a nickel if you have to go through hoops for it. I have Emigrant, E*TRADE, ING, and Citibank (ok, yeah, I signed up to get a bunch of bonuses), and as far as actually using the accounts, I like ING the best. It’s just nice, clean, and easy, and I like having both the checking and multiple savings accounts. I love USAA (thanks for mentioning it)… their customer service is amazing. Their savings interest rates aren’t too bad, but also not at the top, but the convenience and the service more than makes up for it. (And we got a mortgage in 2005 with a rate so low that when we tried to get other quotes, the mortgage companies/brokers just told us flat-out they could never match it.) Also, they pay you back any ATM fees you get charged by other banks, and charge none of their own. We can deposit checks at home by scanning them in as well. Now THAT’s free checking. I read in their magazine that some members of other gov’t agencies might qualify…they mentioned the CIA and FBI. hate ING, well i’m a fair weather ING fan when the rates are high; otherwise, don’t see the justification to stay with them. maybe it’s me, but i don’t find much difference between any on the list, having had or have accounts with most of them. My experience with the three internet savings accounts I use: VirtualBank has the best rate, and they are fairly quick about delivering withdrawals. Next best rate is HSBC, but they are slow to credit deposits and are the slowest of the three to deliver withdrawals. HSBC’s account account does come with a free debit card so you can get fast access to a few hundred if needed, however, larger withdrawals can take an irritatingly long amount of time to be delivered to my credit union – up to a week.) ING provides quick service (about the same as Virtual Bank), but is typically about .25 percent below Virtual Bank for the interest rate. ING’s web interface is easiest to use. I love ING Direct, but also Citibank offers a high yield savings account. You must have a checking account linked, but there are no fees, and you have the benefit of bricks and mortar branches. Their checking account may have fees, but the amount after a certain balance of assets (including your high yield savings), it may be free. I’m surprised CapitalOne isn’t on this list. I find their APY is comparable to other banks, and they sent me an ATM card and checkbook to use for the account, which is what sold me. No minimums or fees. I also use ING Direct. FNBO Direct got some flack awhile back for allegedly not being very customer-friendly, but I have never had a problem with them. They do tend to maintain fairly high rates, though it’s currectly only 3.25%. For the “convenience” factor, I use my local credit union paying a whopping 0.8%, but the majority of my cash savings (emergency fund, CC arbitrage money) is in FNBO. I have used HSBC, ING, and now Wamu. ING has by far the best customer service. However I’m sticking with Wamu for now out of convenience (free account transfers online and brick/mortar visits) and the fact that it has a slightly better APY than the other two. Love ING! Though I’ve been thinking about WaMu since I may get a new checking account. I’m not too happy with BofA these days. I did a lot of research, and decided to try out savingssquare.com. No minimum, and the rate is still the best one I could find out there (currently 3.5% vs. ING Direct at 3.0%). It’s definitely not as user-friendly as ING, but it’s not bad for longer term thinking. I stash my cash in Vanguard Prime Money Market Fund. There’s a $3000 minimum, but I can write checks from it. I have been researching a thing called rewards checking accounts. They offer high yields but come with a catch- minimum of 10 debit card transactions, online statements delivery and direct deposit or bill pay setup. You also have to live in the area of the bank. I’m on board with ING since it’s really simple and easy. HSBC isn’t a bad choice, though ING seems to be the favorite. I personally shy away from anyone that doesn’t offer ATM access because some emergencies can’t wait 3-5 business days.